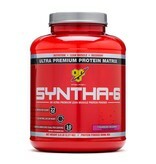 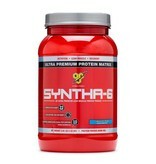 Syntha-6, Core Series. 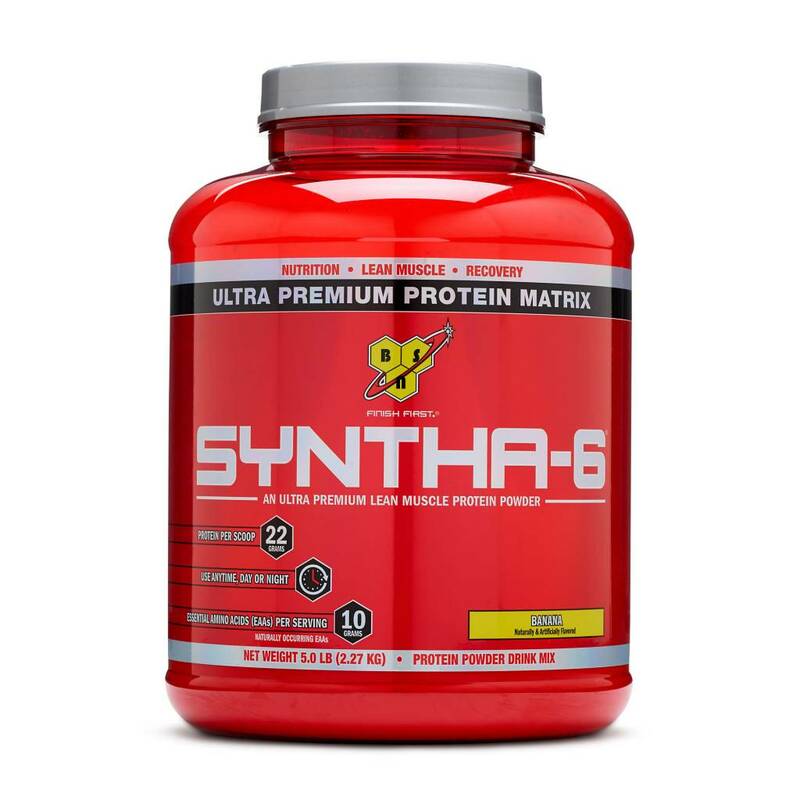 An Ultra-Premium Lean Muscle Protein Powder. Naturally and Artificially Flavored. 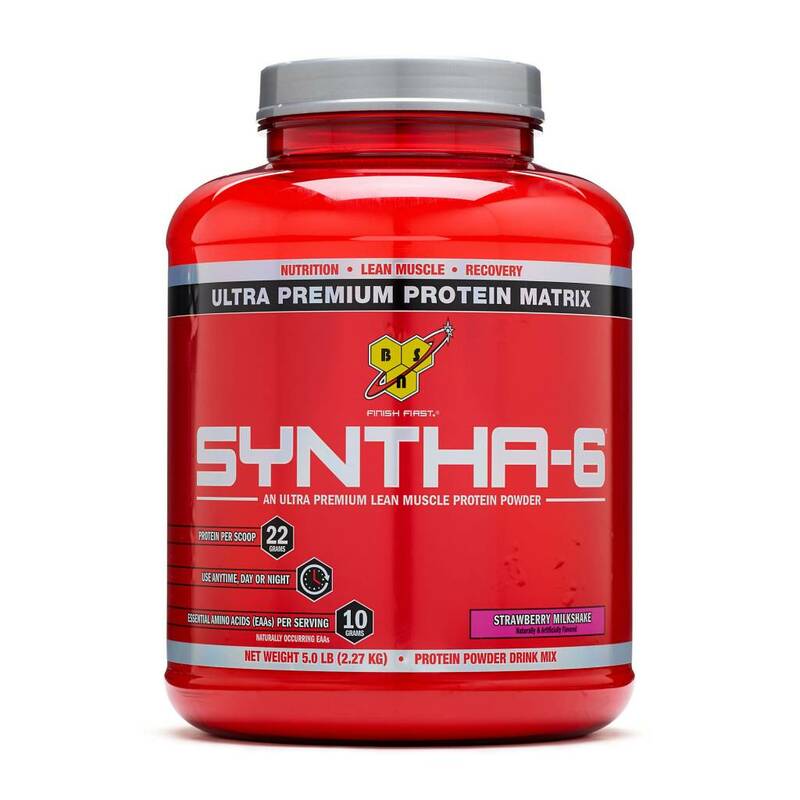 Ultra-Premium Protein. Ultra-Premium Taste. 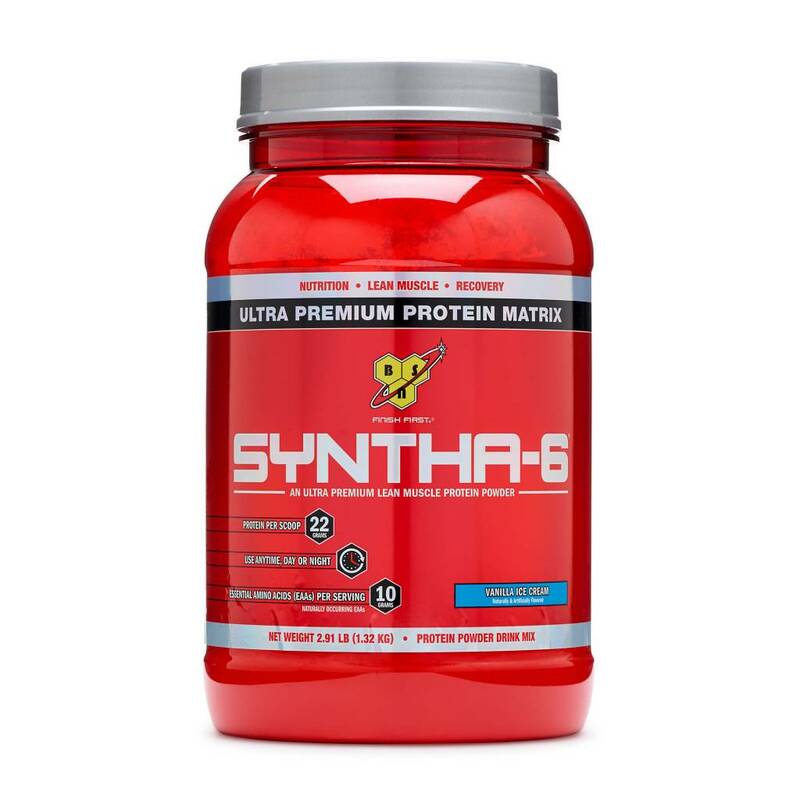 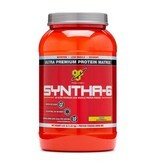 SYNTHA-6 PRODUCT HIGHLIGHTS: Multi Functional Micellar Protein Matrix; Bioactive Protein Utilization Enzymes A2 Zorb (Papain and Bromelain); Aspartame Free; BCAAs and other Essential and Non-Essential Amino Acids; MCTs, EFAs, Glutamine Peptides, and Fiber. 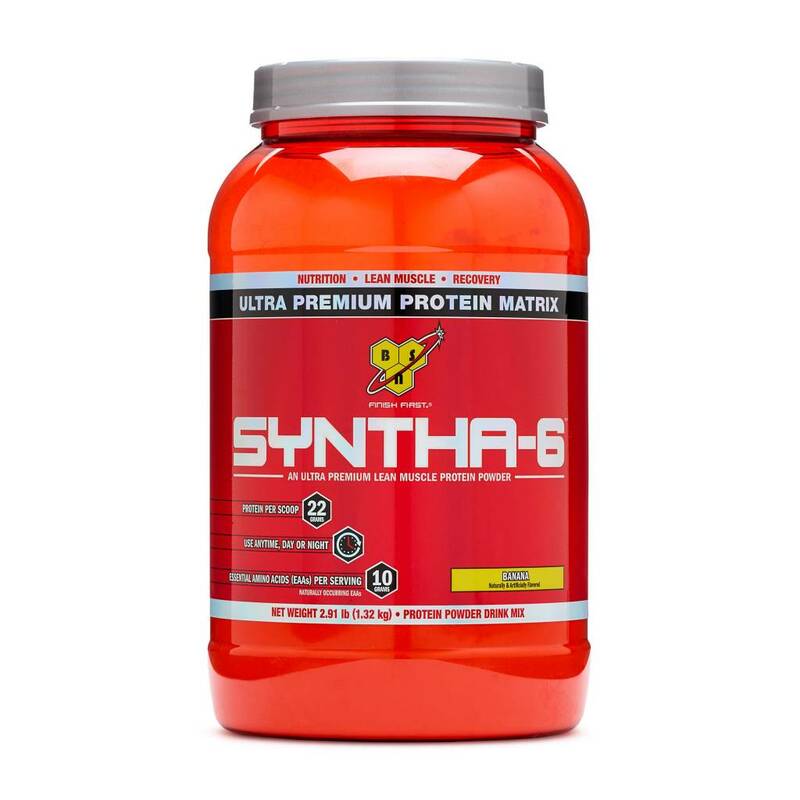 Amount Per Serving% Daily Value*Calories 200 -Calories from Fat 50 -Total Fat 6 g 9%Saturated Fat 2 g 10%Trans Fat 0 g -Cholesterol 55 mg 18%Sodium 220 mg 9%Potassium 300 mg 9%Total Carbohydrate 15 g 5%Dietary Fiber 3 g 12%Sugars 2 g -Protein 22 g 44%Vitamin A 0%Vitamin C 0%Calcium 15%Iron 8%Magnesium 6%Phosphorus 15% Ingredients: Protein Matrix Comprised of (Whey Protein Concentrate, Whey Protein Isolate, Calcium Caseinate, Micellar Casein, Milk Protein Isolate, Egg Albumen and Glutamine Peptides), Sunflower Powder Consisting of (Sunflower Oil, Corn Syrup Solids, Sodium Caseinate, Mono- & Di-Glycerides, Dipotassium Phosphate, Tricalcium Phosphate, Soy Lecithin, and Tocopherols), Cocoa Powder processed with aklali, Polydextrose, Natural & Artificial Flavors, MCT Powder Consisting of (Medium Chain Triglycerides, Non-Fat Dry Milk, Disodium Phosphate, and Silicon Dioxide), Cellulose Gum, Salt, Sucralose, Acesulfame Potassium, Lecithin, Papain and Bromelain.. Nutrition Warehouse Locally owned Nutrition Warehouse bring you all the products you want and prices you can afford. 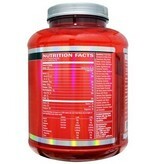 Let our experts help you acheive your goals with proper supplementation.